The snowy owl is a large species of owls found in the tundra of Alaska, Canada, Europe and Asia. They are the largest owl species, by weight, in North America and slightly smaller then the Eurasian eagle owls that are found through out much of Europe and Asia. 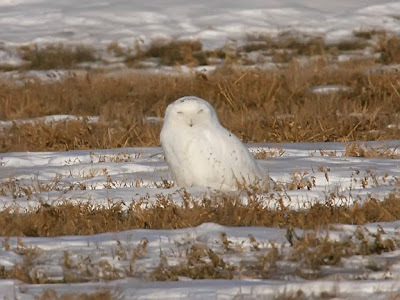 Snowy owls are white with varying amounts of black mixed in. 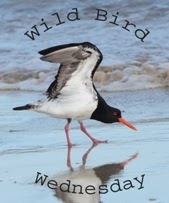 Males are typically mostly white while females and young birds have more of a black and white mottling. The bird in the top photo appears to be a young bird while the one in the photo above is probably a mature male. Occasionally during the winter there is a shortage of prey. This can be due to a crash in the prey base or a very successful year of raising young which increases the population. When this happens snowies may migrate south in search of food. Typically these are young birds who do not yet have an established teritory. Here in Minnesota we see snowy invasions every three to five years. When they come south the most common place that we see them is at the airport. 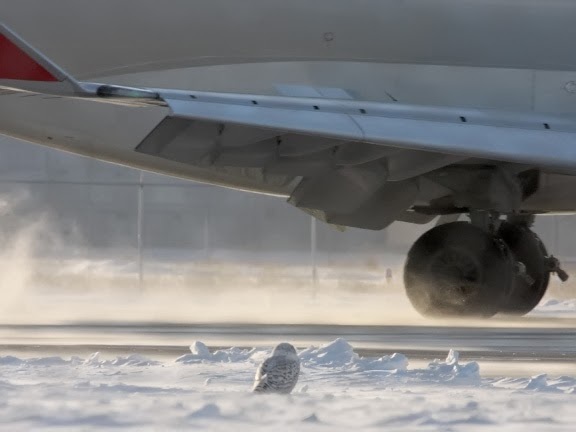 The airport is similar to their natural habitat on the tundra. It is large and flat and usually has a good amount of rodents for the owls to hunt. As you can see by the above photo the planes do not seem to bother them much. 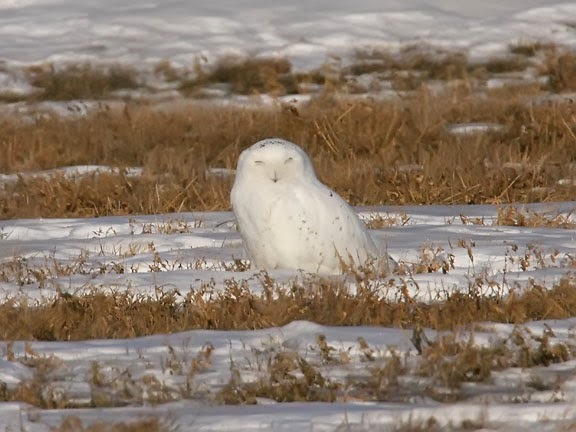 I love the pure look of the Snowy Owl! I don't always comment, but I do love your photos of birds. 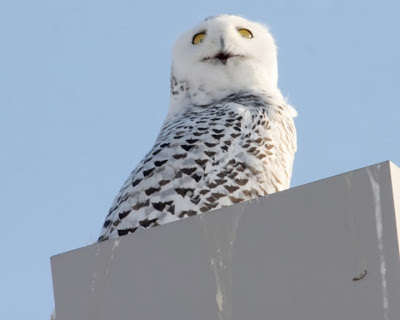 Snowy owls have come down to my neighbourhood for the past two years and we've gone to see them. I managed a few photos, but not good ones. Maybe this year. Beautiful birds. I thought for a minute it was a bad year up north and the lovely chap was waiting for a lift at the airport, but upon reading your post I realize that was rather frivolous and he had a much more serious reason for being there. What lovely birds! Somehow owls always remind me of Harry Potter. It'd be great to have one as a pet. Wow! great shots! I got to see them several times during the outbreak of 2011 in Massachusetts. I saw them at Salisbury Beach and Plum Island. I never thought I would ever see one. they are so amazing! I am so glad that I was wrong! Lucky you! Gorgeous bird and wonderful shots. An interesting post with nice photos. If there were birds in your area this year, does this mean that there are unlikely to be birds south of usual this year? 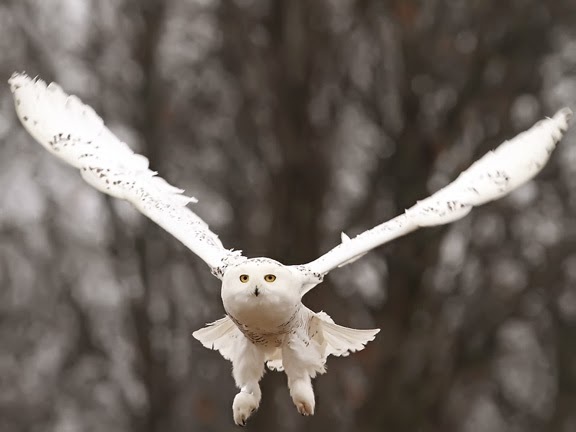 Beautiful photos of the Snow Owl. Wow!!! Fantastic photos of this owl, which is one of my favorites! You are so lucky to have them migrate your way every few years. And it's amazing how they adapt to their surroundings. We have an overpopulation of deer here in CT, due to no/few predators, and sometimes one sees them standing within feet of the edge of the highway, grazing while cars fly by at speeds of 60 mph and higher. Ces images sont d'une beauté magnifique! Beautiful bird and photos - one of my favourites - I recently purchased two photos from an artist at our Farmer's Market and had them framed. My new favourite pictures! Beautiful pictures. There could be a bit of an irruption in the mid-Atlantic region this year! Some have been spotted on the NJ coast and just heard today of a Snowy Owl sighted on Assateague Island on Maryland's Eastern Shore. Keep your eyes open!! Exquisite photos of a beautiful bird. I've never seen one here in St. Paul. Guess I'll have to make a trip to the airport.